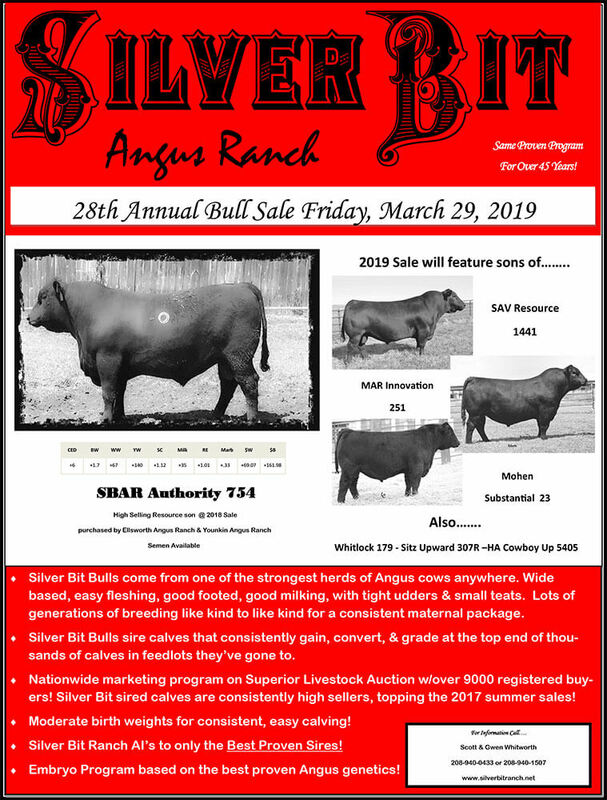 Welcome to Silver Bit Angus Ranch! Located in the heart Idaho, we take pride in top-quality cattle. Silver Bit Angus Ranch bulls come from one of the strongest herds of Angus cows. 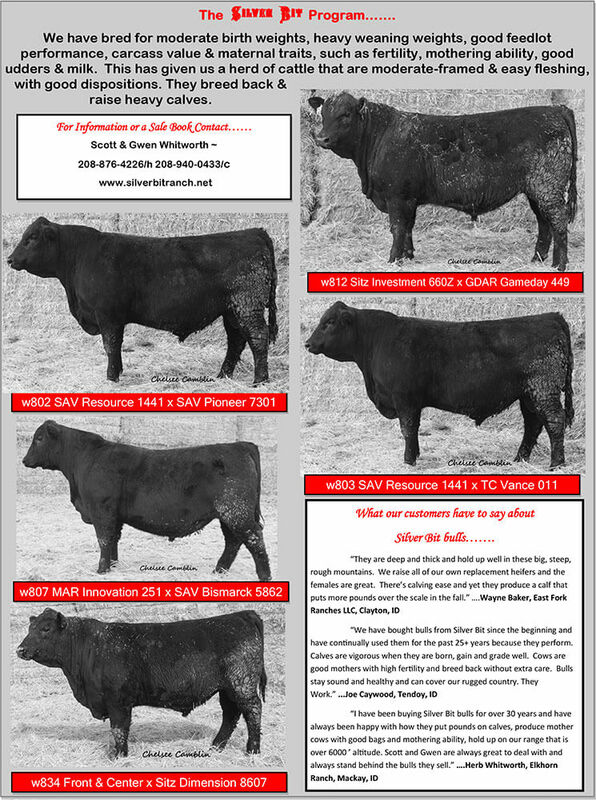 These Angus cows are wide based, easy fleshing, good footed, good milking – all with tight udders and small teats. Traits that every cattleman longs for! At Silver Bit, we participate in generations of breeding like kind to like kind for a consistent maternal package. Our Silver Bit bull sire calves are unlike any other! Bulls that consistently gain, convert, and grade at the top end of thousands of calves in the feedlots they’ve gone to. Silver Bit has a Nationwide marketing program on Superior Livestock Auction with over 9000 registered buyers! Our sired calves are consistently high sellers, topping the 2017 summer sales! We take pride in producing calves with moderate birth weights for consistent, easy calving! 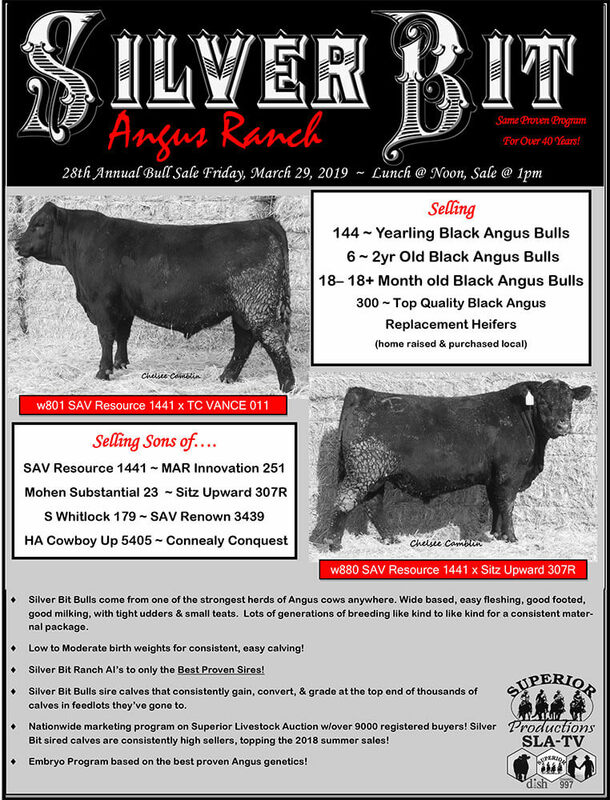 Silver Bit Ranch uses Artificial Insemination (AI) to only the best proven sires and our Embryo Program is based on the best proven Angus genetics! Feel free to stop by and visit the ranch or contact us for more information. Lunch will be served at noon. Sale begins at 1 p.m.